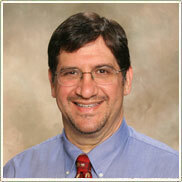 Dr. Chris Falvello was born and raised in Hazleton, PA. He attended the University of Virginia and Emory University School of Dentistry. He was a dentist in the U.S. Army from 1985 - 1990. While in the Army, he completed a one-year Advanced Educational Program in General Dentistry at Fort Benning, GA. He was also stationed in West Germany and Washington, D.C., where he spent two months at the Army's dental clinic in The Pentagon. He has had a general practice in Hazleton since 1990. He has earned the following awards and certifications: Fellowship (1991) and Mastership (2001) in the Academy of General Dentistry, Diplomate of the American Board of General Dentistry (2003), and Fellowship in the International Congress of Oral Implantology (2007), among others. He practices General Dentistry and Implant Dentistry, and is part of the third generation (which now has four generations) of the Falvello family to provide professional service to the Greater Hazleton Area. Dr. Chris has been a member and officer in local, state, and national dental organizations, such as the Hazleton Dental Society, PA Dental Association, American Dental Association, American Student Dental Association, and the PA Academy of General Dentistry. He firmly believes in organized dentistry as a means to provide better patient care both individually, and by the profession as a whole. 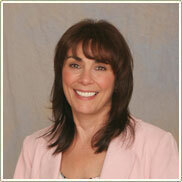 Toni earned an Associate's Degree in Dental Hygiene in 1994 from Northampton Area Community College. She has been a valuable member of the team since 2000. Throughout her dental hygiene career, Toni has accumulated countless hours of dental continuing education credits, most recently including over 20 hours of dental implant education. When Toni is not spending time making mouths healthy, she enjoys spending time with her family and friends. Jen's background is in radiology as an x-ray technician, holding a degree from West Reading Hospital. 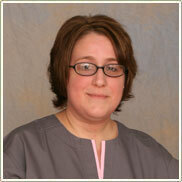 She then received her dental assisting certificate from Lehigh Valley Dental Assisting Institute in 1994. Jen started her career with Dr. Falvello in 1995 and has since returned after raising her two sons while her husband was deployed in Iraq. Linda is a Hazleton native and a graduate of Hazleton High School (the Castle). She has extensive training and experience in medical office procedures & billing and was the office manager for our friend, the late Dr. Arthur Koch. Linda holds certificates in Medical Records Coding, Computer Essentials, and HIPPA Compliance. She has completed a 16 hour advanced dental training program with the esteemed McKenzie Management Team. 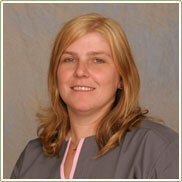 Melissa has over twenty years of experience in the dental field. 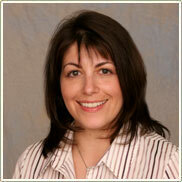 She has been with Dr. Falvello's office since 1991. She received her Associate degree in dental hygiene from Luzerne County Community College in 1988 and a Bachelor's degree with honors in dental hygiene with a health policy and administration concentration from Pennsylvania College of Technology in Williamsport. Melissa has experience in dental assisting, dental office procedures, billing, OSHA compliance as well as accounting and QuickBooks operations. She enjoys spending time with her husband and two daughters and is the director/instructor of the Freeland YMCA baton twirling teams.